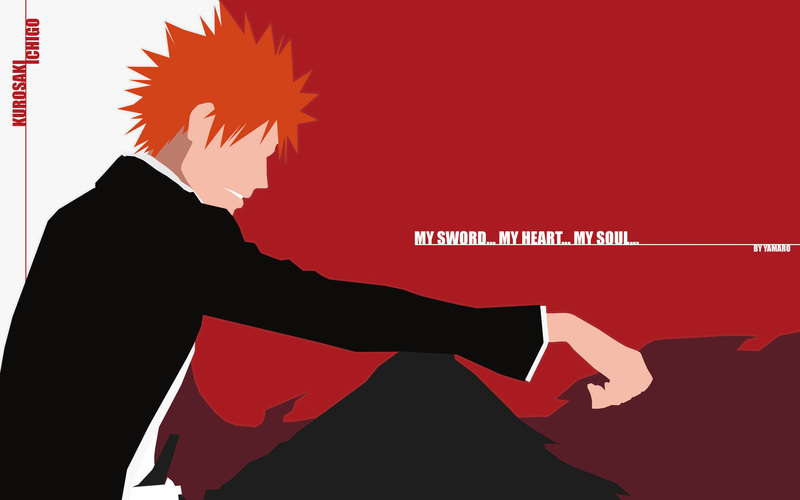 Now to other my fav anime - Bleach! I made some weird style vector ^_^ Wall is minimalistic but fits screens were many icons)) I used this pic to make vector(made in Adobe Illustrator CS3). Background cross lines on soft red and white parts. Hope you like it! Love the colors of this wall and the style of vector is sort of abstract looking which adds more appeal for me. Great work and thanks for sharing! Thank you, I've been looking for something lite this for a while! Wow! Great job, but what image was that from? A DVD cover or something?